1978 Sportscasters, $10; EX-NM, $6. 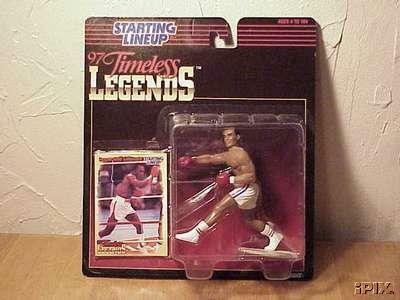 1989 Historic Fights (vs. Hearns II), $3. 1989 Historic Fights (vs. Duran III), $3. 1989 Historic Fights (vs. Hagler), $3. 1990 Action-Packed 3-D prototype, $65. 1990 Question of Sport, $3. 1991 Kayo "Fighter of the Decade", $3. 1991 Kayo prototype, $20; NM-, $15. 1999 Dime Line ad, $2. U.S. $1 bill (Leonard on face), $5.